Internationally recognized Greek composer – Knight of the order of Arts and Literature of the French Republic. Professor, Director of Laboratory "Sciences, Technology and Environment”. 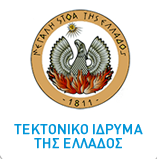 Professor Emeritus of Geology, Chairman of the Geological Society of Greece, Member of the Russian Academy of Physics,National and Kapodistrian University of Athens. Professor Emeritus of Britneu University & National and Kapodistrian University of Athens. Professor Dep. at National Techinical University of Athens.